If you love reading magazines and spend a significant part of your income on this. Then you should explore the internet little bit more because there are tons of magazines in multiple categories are available for free. There is no need to spend a single penny for certain types of magazines. However, In some cases situation could be different like you are fond of reading a specific magazine which is not available for free. But still, with the free subscription, you can save almost saving 80% of your total cost. If you are paying for more than 2 or 3 magazines monthly. The idea of sharing this freebie came from my close friend who did not spend a single dollar in last three years on the magazines. Last weekend when I visited his home I found a huge stack of magazines on the floor which he was about to sell to trash picker. And by looking the huge quantity I asked how much do you spend monthly on the magazine? and he replied not a penny from last three years. Which was quite surprising for me so I asked him how he gets free magazines and then he shared some sources from the internet. After that, I explored this and compiled the entire list of free magazines for my readers. Hope you would also save lots of many or perhaps won’t pay for the magazine anymore in the future. Never share your credit card details while signing up. If you signup with credit card details most likely you will end up signing up for the paid subscription. In such cases, you get a free subscription but that is only for the limited period after that they will start applying charges to your credit card. Most of the Magazines will ask you to attempt surveys in order to offer you their free subscription. And this is done to collect the data for their market analysis. Magazines available both print and in digital form so please ensure while signing up. Every data that you share to get the magazine is used for marketing. Please make sure if you don’t want to share your details with advertiser than these free subscriptions are not for you. If you want you can also go for Digital version of your magazines which will be delivered to you directly to your inbox. The links we have shared those are for the print version. 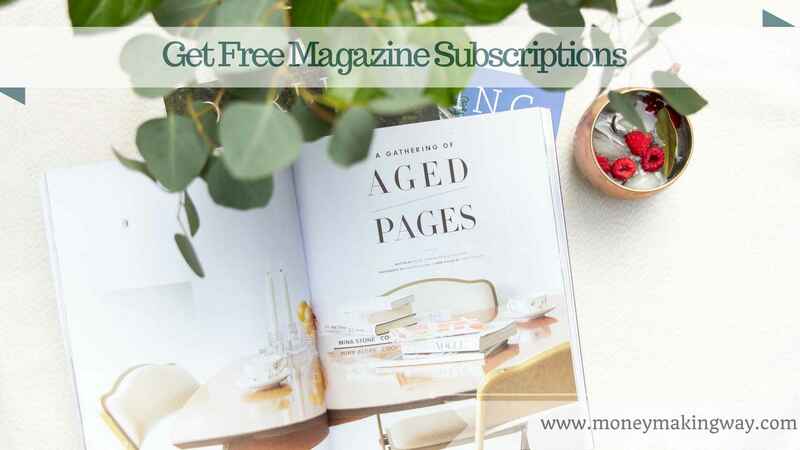 Same companies also offer digital subscriptions of the free magazine. Here are the links which you can refer. Free magazines are available in multiple categories which keep changing. which means you always have the opportunity to get the fresh edition. So if you love reading magazines than above-mentioned links can be a good source and also help you to save a substantial amount that you spend on the magazine.